CCAR Industries | Care. Compassion. Acceptance. Respect. CCAR Industries is a not-for-profit 501(c)(3) organization that was founded by a local parents’ group in 1969. Our mission is to provide community-based services and supports that enhance the quality of life of East Central Illinois citizens with developmental disabilities and/or other functional limitations throughout their lifespan. Our team is dedicated to providing high quality, individualized services to program consumers and their families. Please feel free to contact us if you have any ideas or if you would like more information about our agency! TO DONATE, PLEASE CLICK ON THE PAYPAL BUTTON BELOW! 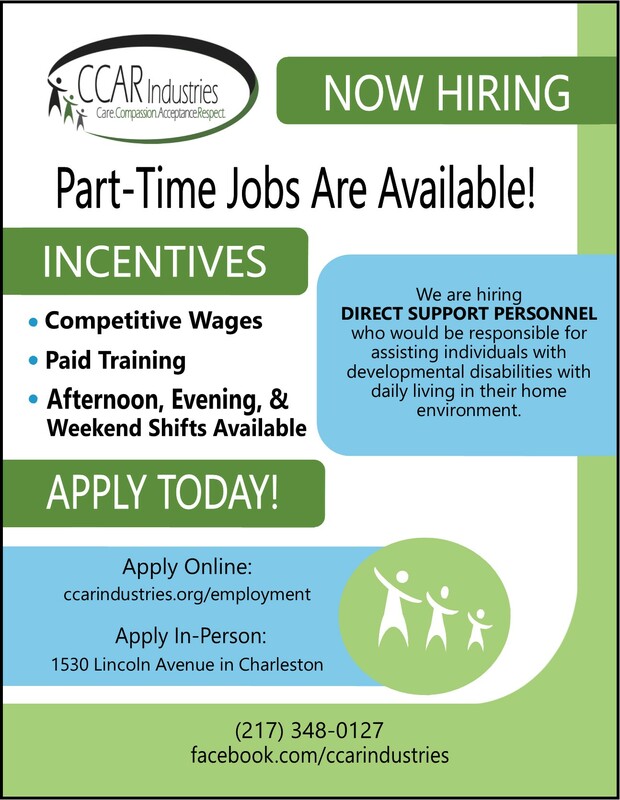 Visit our Employment Page for job postings and to view our job descriptions!